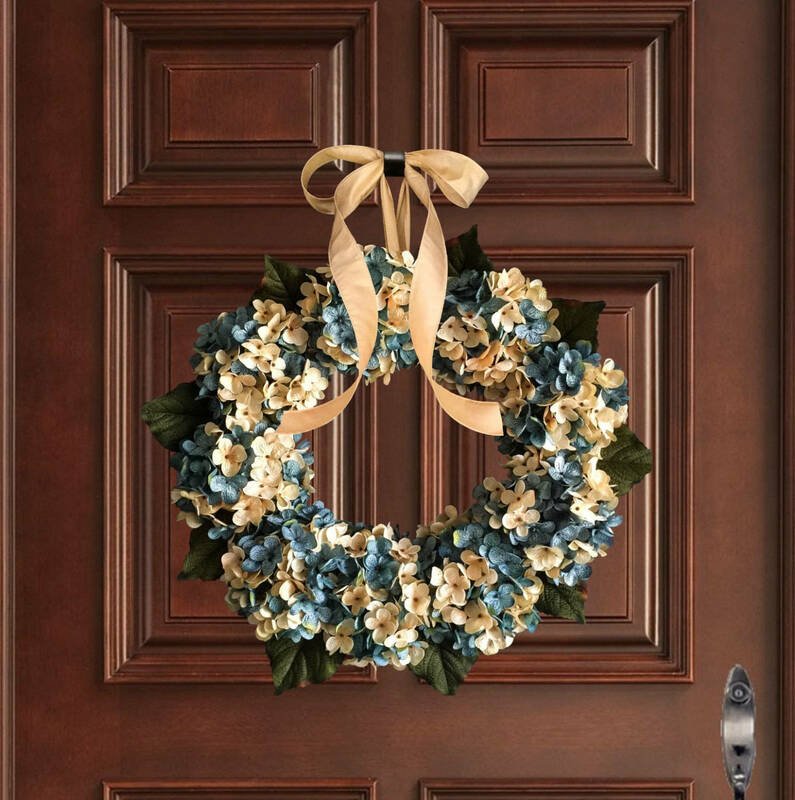 A Blended Hydrangea Blue Wreath in artificial hydrangeas. Handmade with artificial hydrangea mix of aqua blue and cream flower colors. The wreath is finished with a satin ribbon. 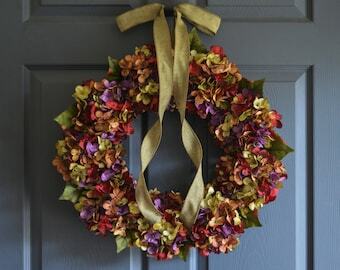 Its a really beautiful wreath! Love it! It bright and beautiful, thank you !! Beautifully displayed on my front door of my new home! Amazing craftsmanship!